Discount Tire Direct has the new Trail Series MR701 available! 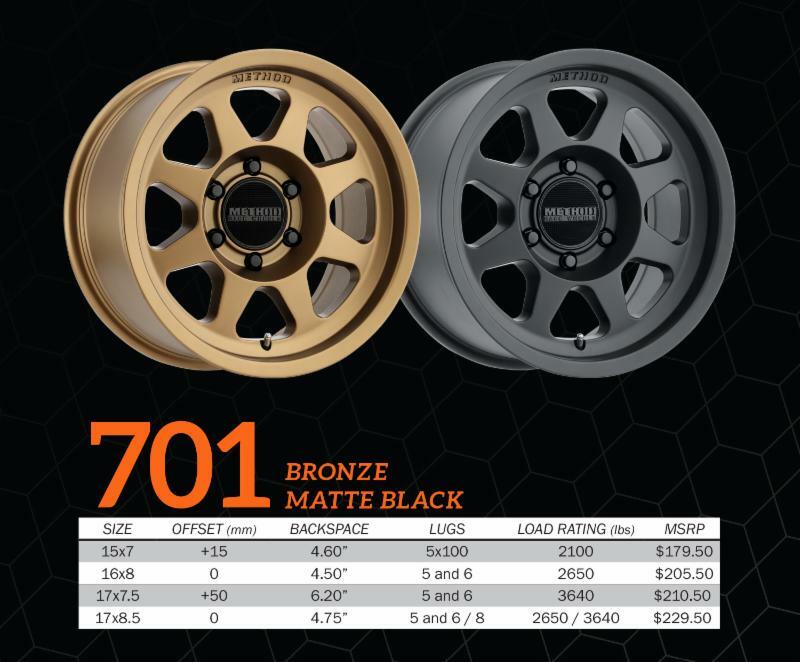 Due to website programming delays, the MR701 and the available sizes are not listed on the DTD website, so if you would like to place an order for a set please send us a PM and we'll make sure you're taken care of. Don't forget - DTD also mounts and road force balances all tire and wheel packages for no additional charge and right now a new set of Method Race Wheels qualify for $50.00 OFF INSTANTLY! Among many features, the all new patent-pending Bead Grip ® Technology is the most exciting. 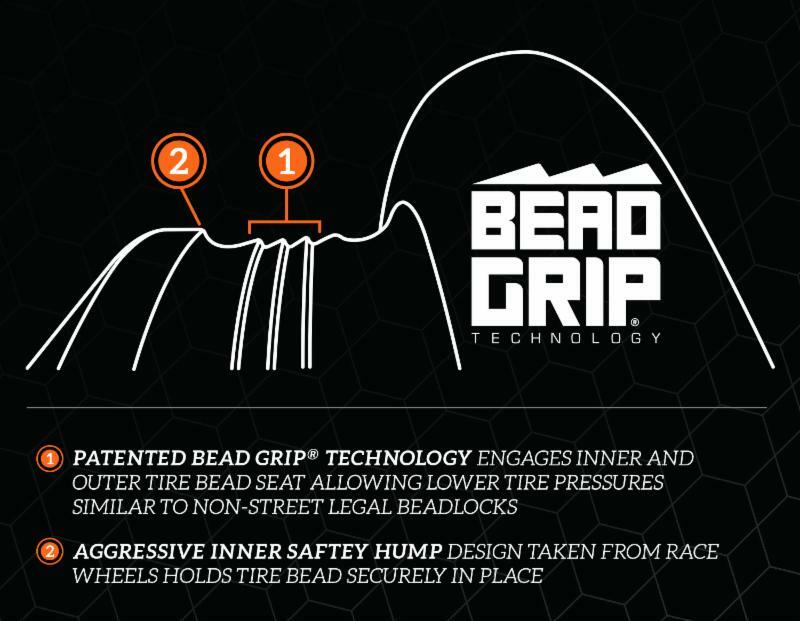 Found on both the inner and outer bead seat, strategically placed grooves are designed to engage with the tire bead for increased grip while running lower tire pressures. 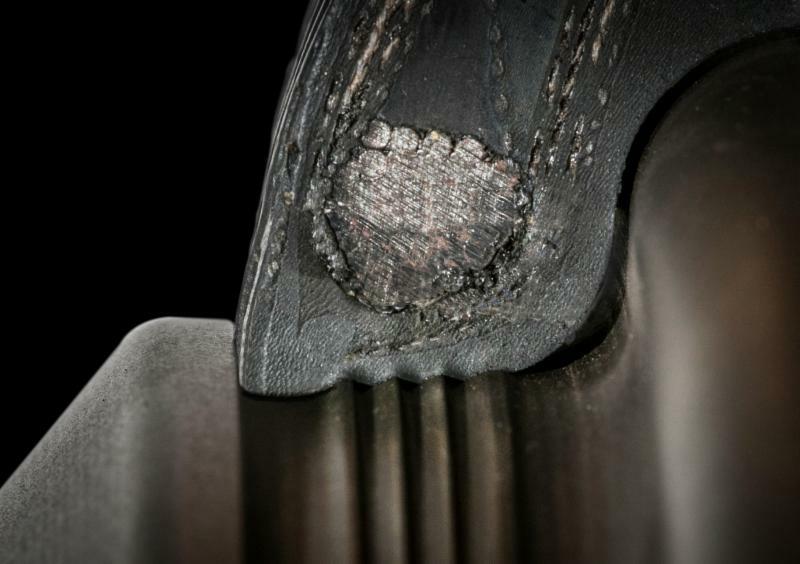 In addition to the grooves, the 'safety hump' has a more aggressive profile which further stabilizes the tire bead in the seat. Bead Grip® technology aims to be the bridge between a conventional street wheel and a beadlock, which is often not legal for highway use. Reducing air pressure in the tire increases traction and ride quality while on the trail. 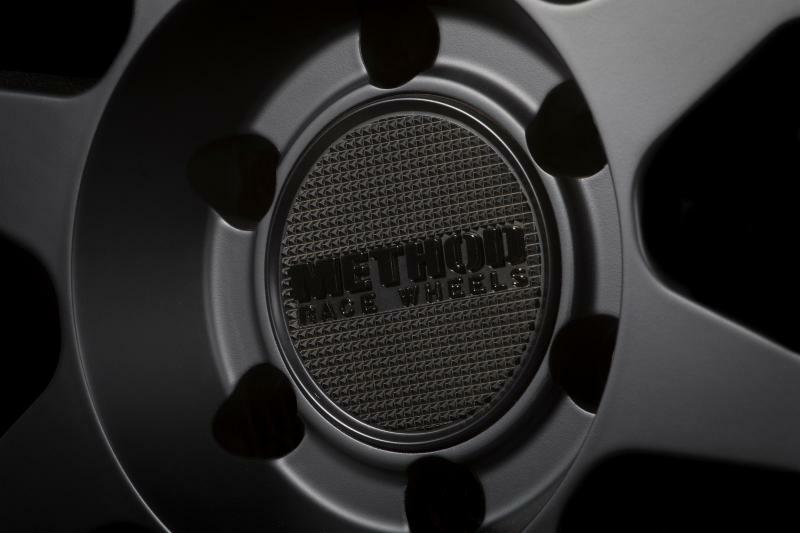 The ability to safely run lower pressures without having to worry about the tire de-beading along with DOT approval will undoubtedly be a bonus to off road enthusiasts. Below is a cutaway of a tire bead on the 701 where there is clear engagement with the bead seat and the Bead Grip grooves. To the left the aggressive 'safety hump' is further preventing the tire from de-beading and instantly going flat. A high number of wheel failures revolve around the inner lip due to its distance from the mounting pad and spokes making it responsible for sustaining heavy loads without much support. To combat this, we've taken the reinforced inner lip design from our race wheels and applied it to the 701. Load ratings are 2650 lbs for 5 & 6 lug applications and 3640 lbs for 8 lug. The 701 will include a newly designed snap-in center cap for 5 & 6 lug applications and a push-through option for 8 lug with the same texture. 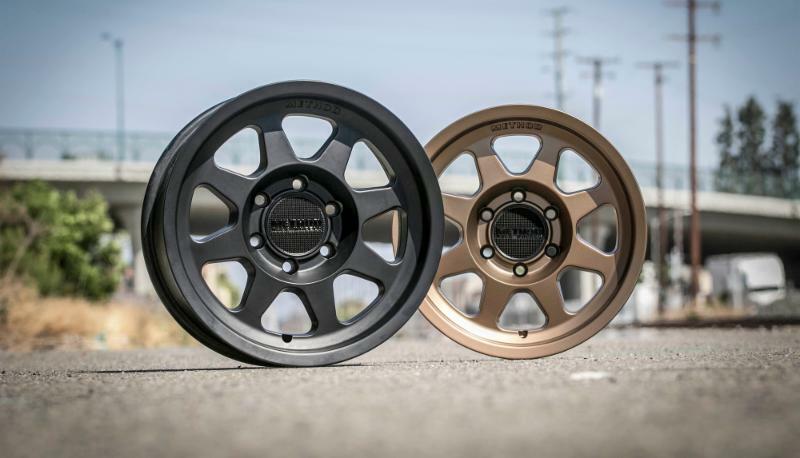 Sizes offered include 15x7, 16x8, 17x7.5 and 17x8.5 with applications for Subarus and Sprinter vans as well as most trucks, Jeeps & SUVs. 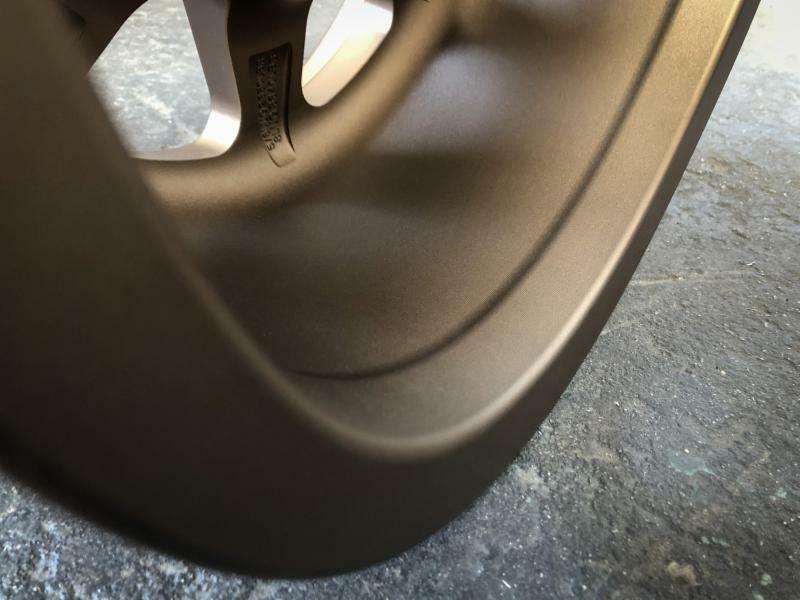 Finishes include Method Bronze and Matte Black.